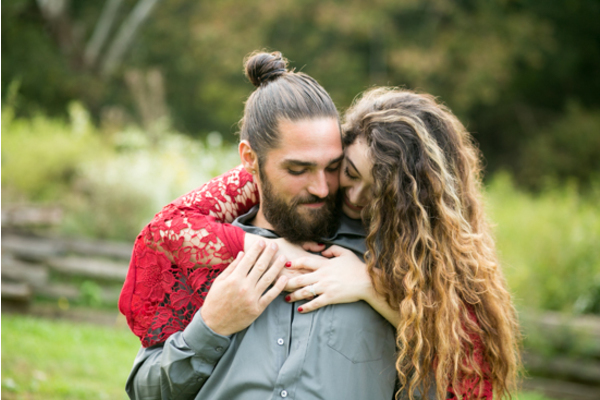 Congratulations to Dana and Christian on their recent engagement! 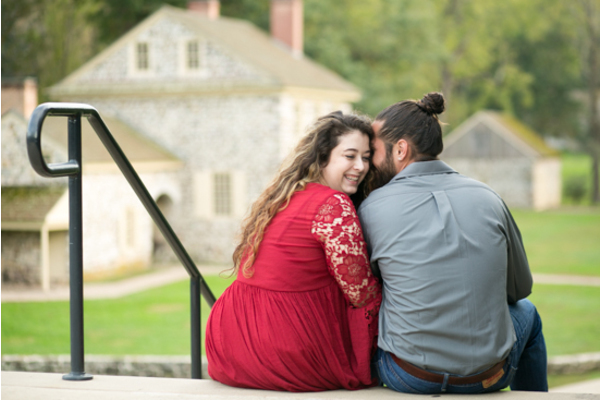 Next November, they are set to tie the knot at Downingtown Country Club, a Ron Jaworski Signature Venue. 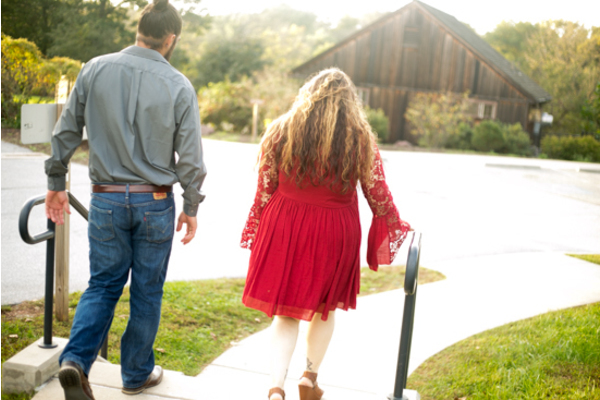 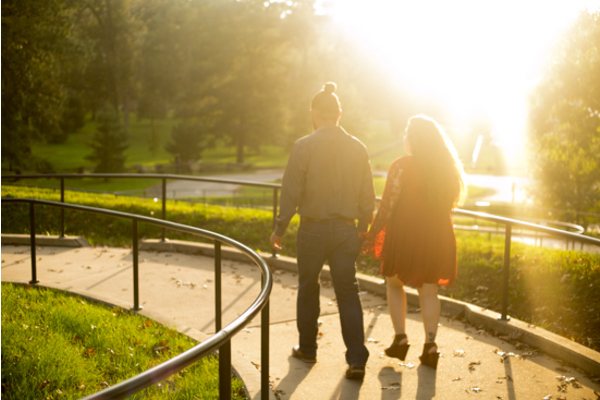 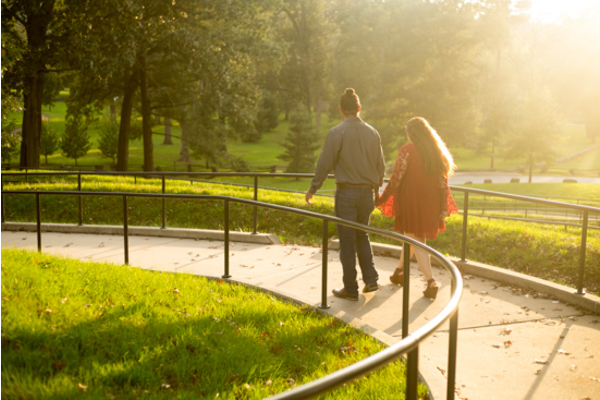 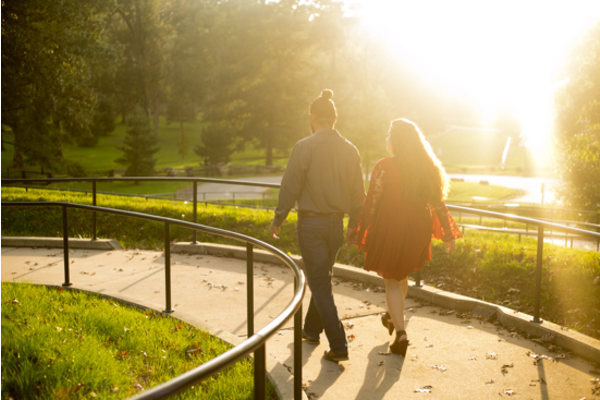 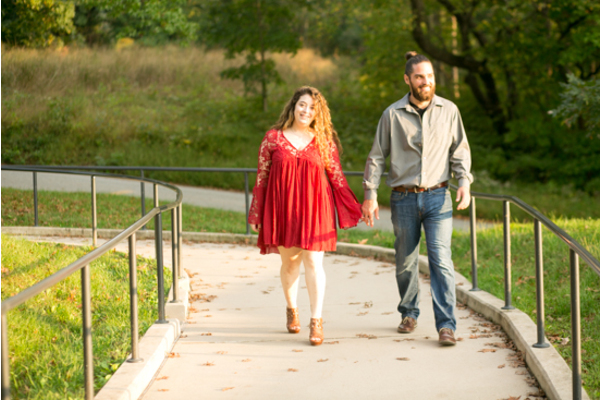 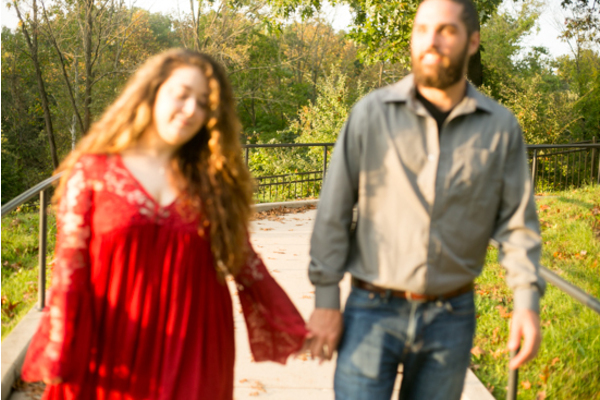 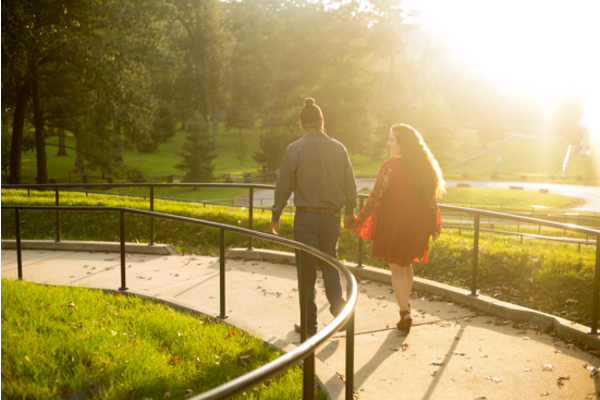 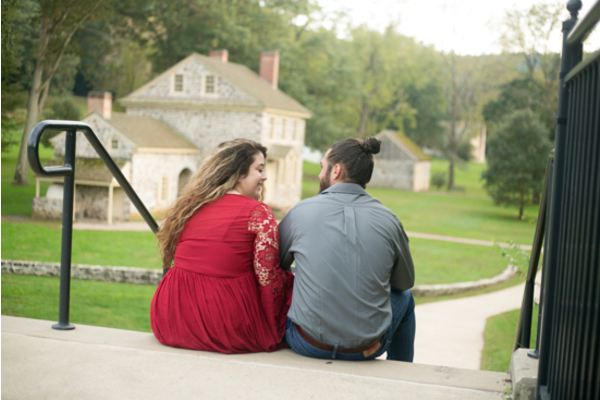 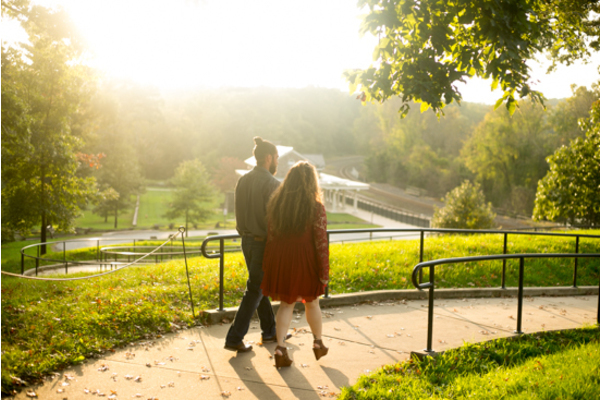 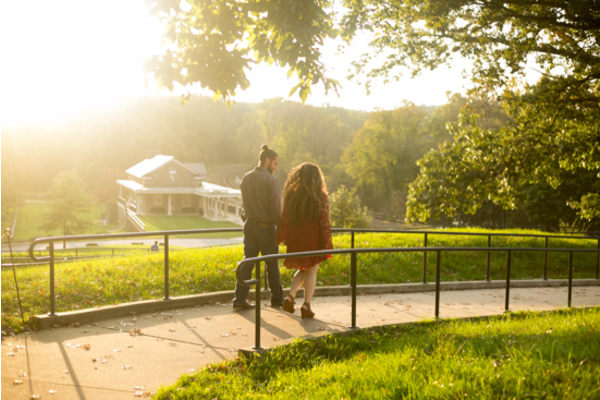 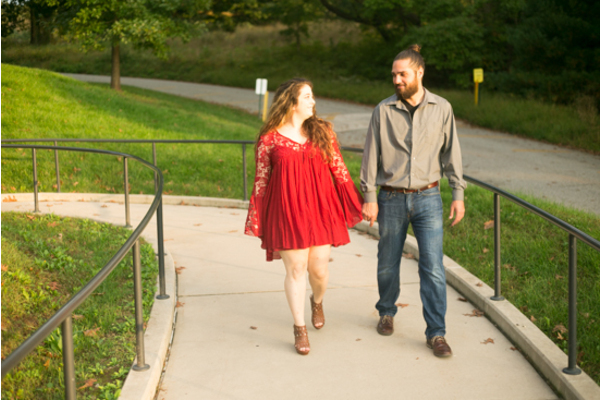 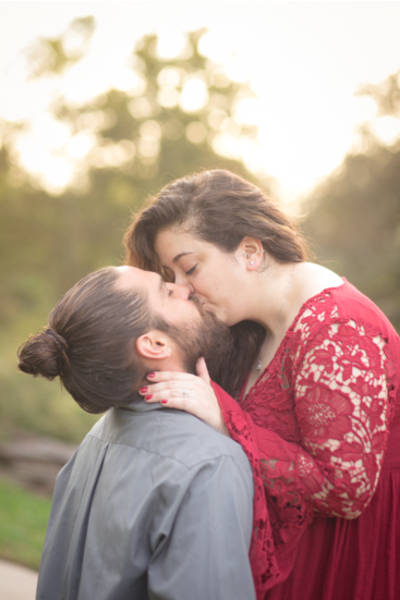 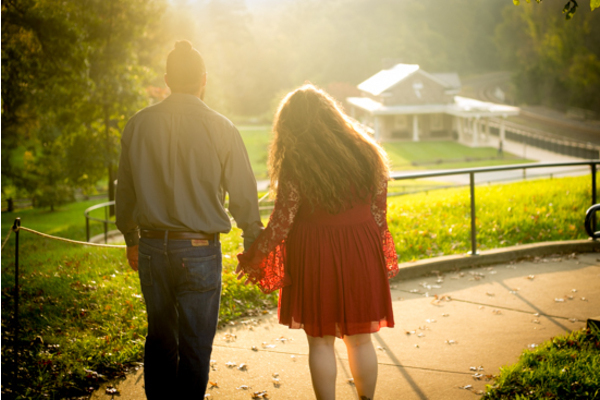 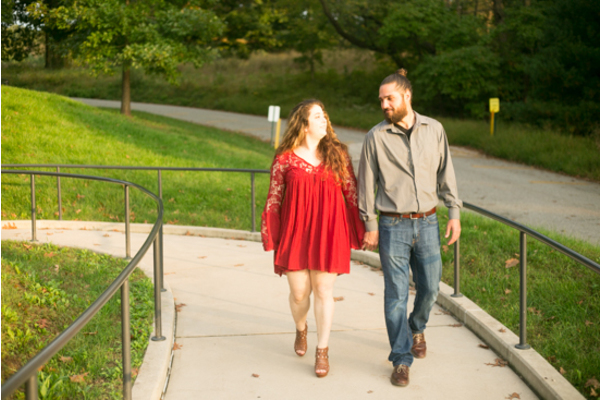 The afternoon sun was soft and the air was warm, making for the most amazing engagement session for these two. 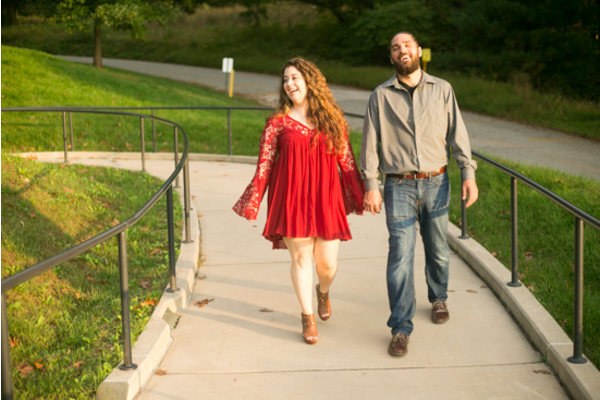 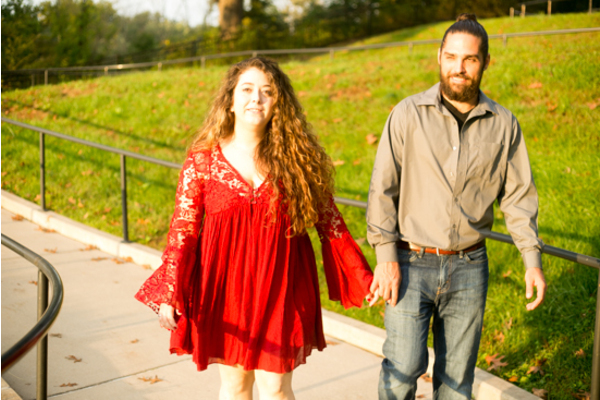 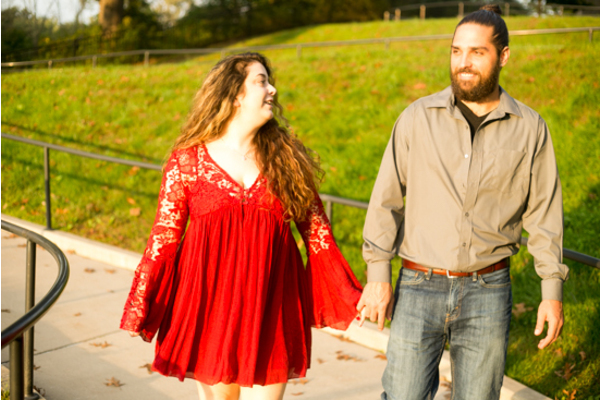 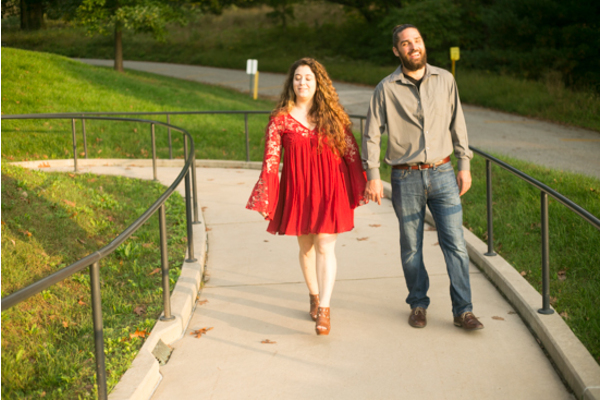 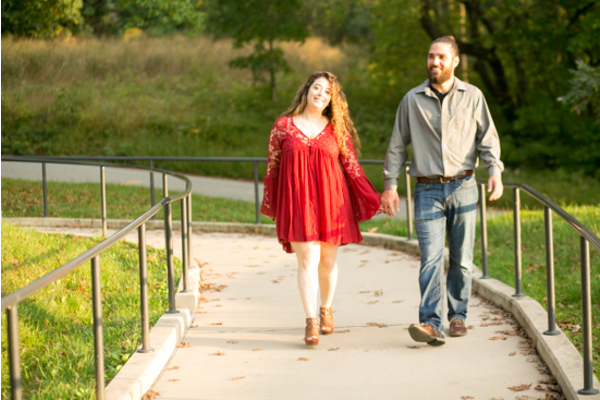 Our NJ Wedding Photographer started the shoot with Dana and Christian taking a stroll down a local path surrounded by lush green grass. 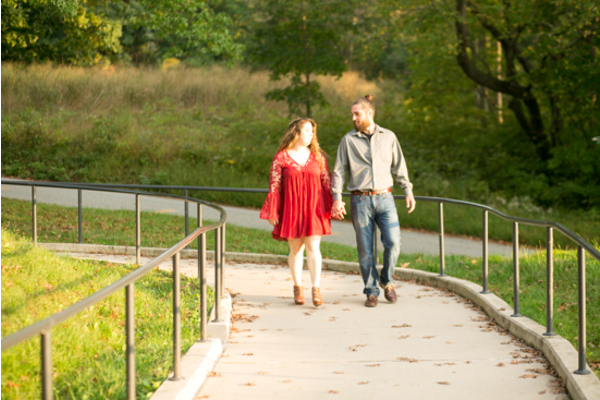 At the end of the trail was a staircase where the couple got some fantastic photos! 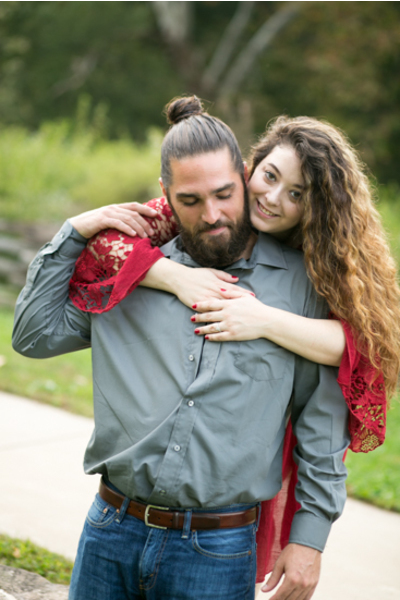 Dana jumped on Christian’s back, and they both started laughing. 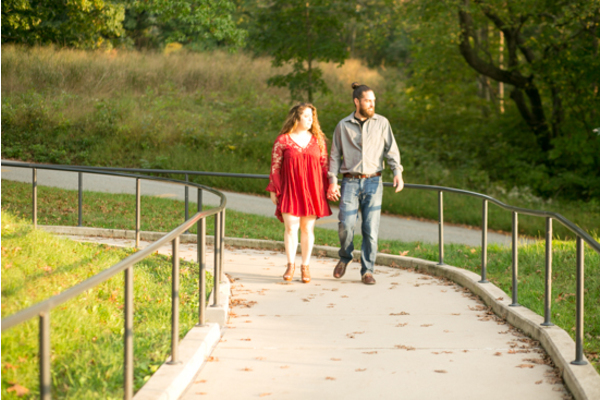 Then, they headed to a meadow where the plants were about as tall as they were! 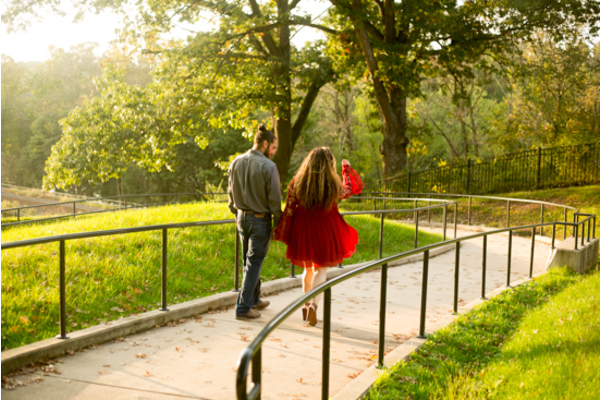 Christian twirled Dana around in her pretty red dress and he kissed her! 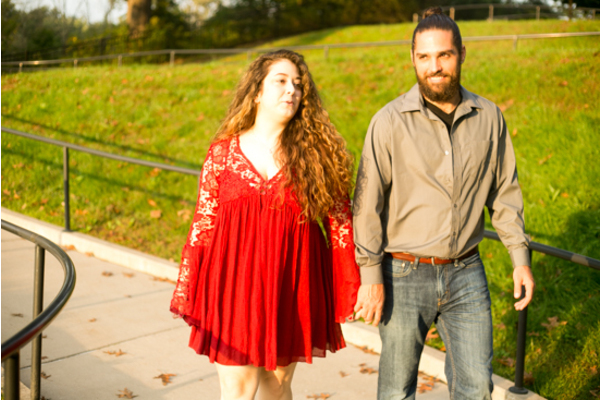 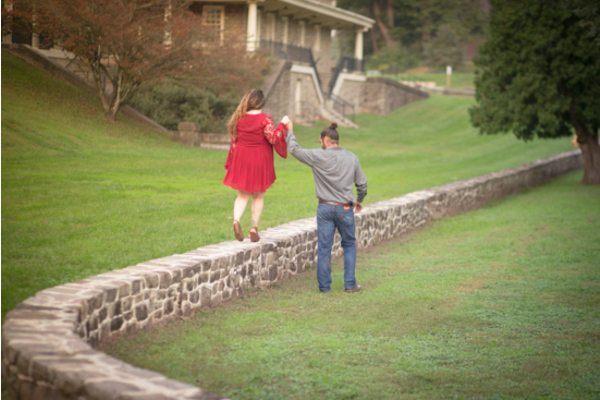 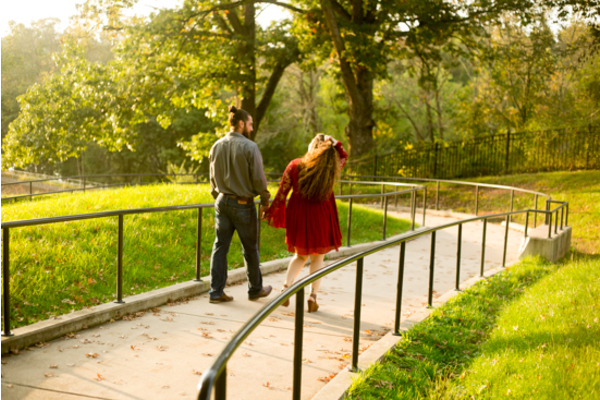 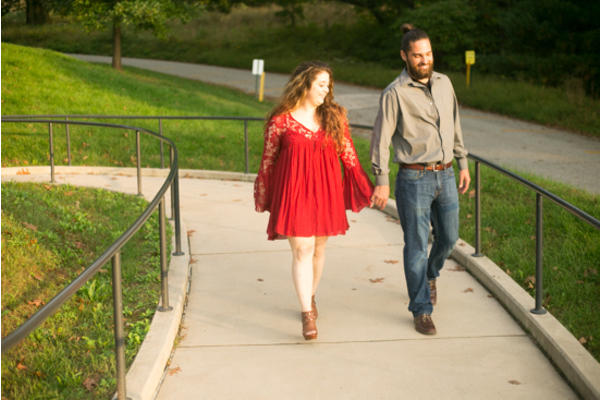 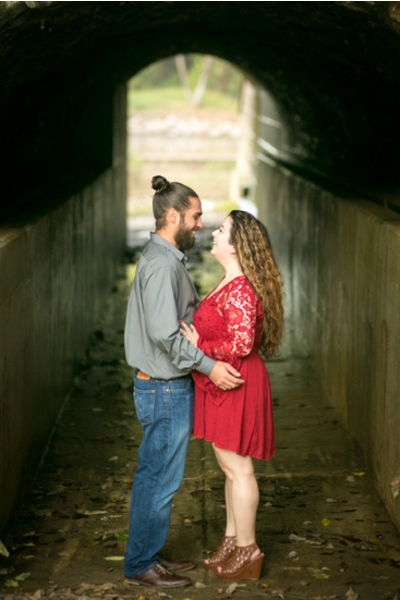 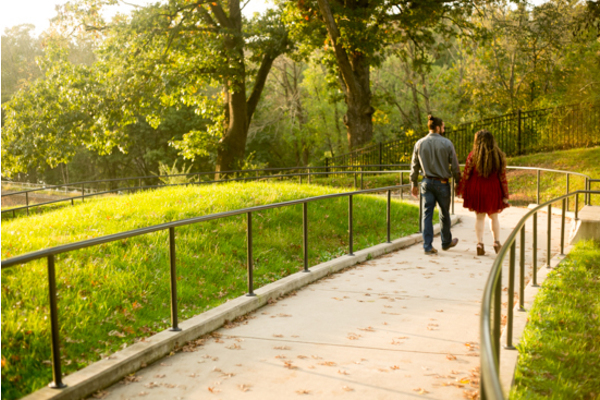 Following, our NJ Wedding Photographer took them to an underpass bridge for a few silhouette photos down by the lake. 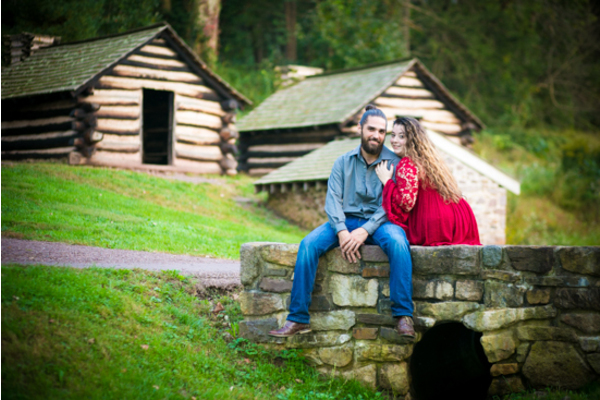 Their last stop on their journey was a field of log cabins. 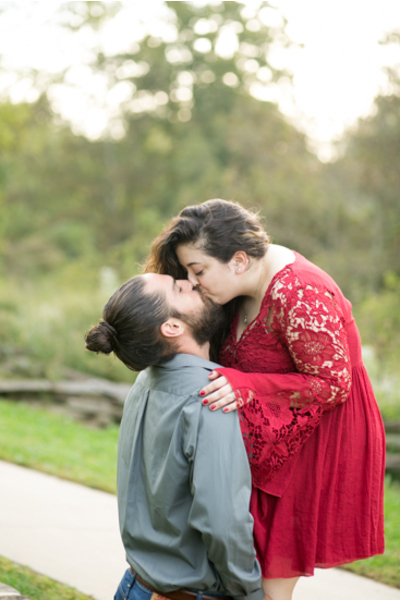 It was such a creative backdrop! 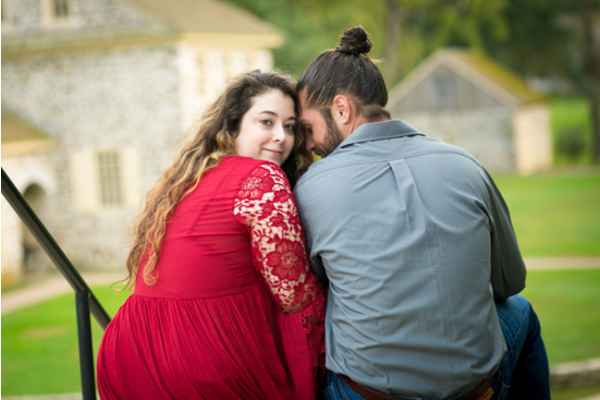 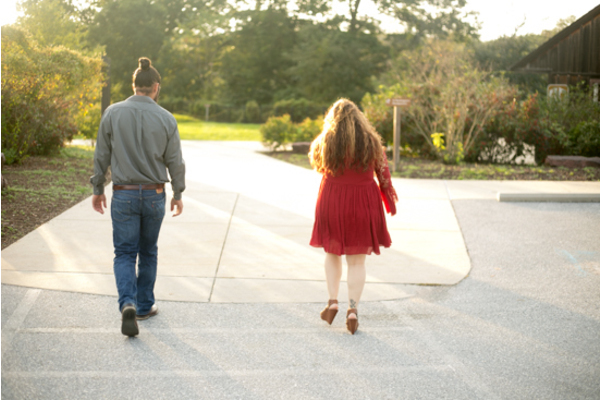 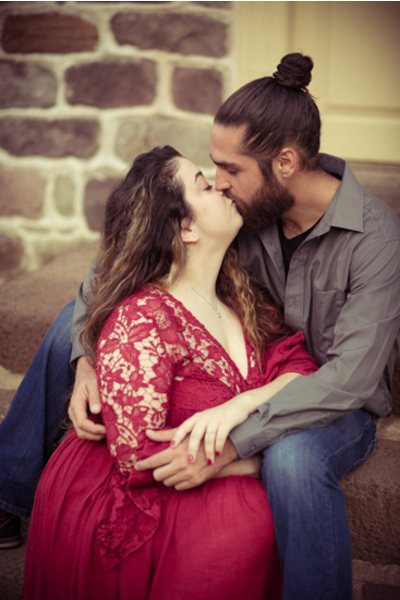 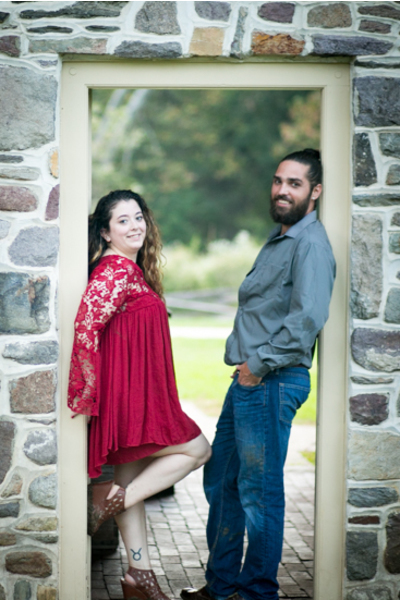 Our NJ Wedding Photographer will be back next fall for Dana and Christian’s big day. 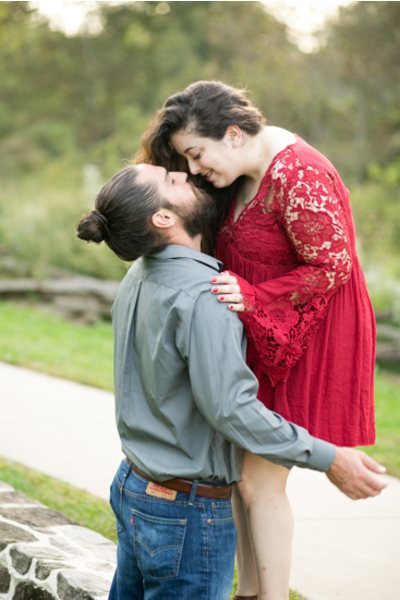 We cannot wait! 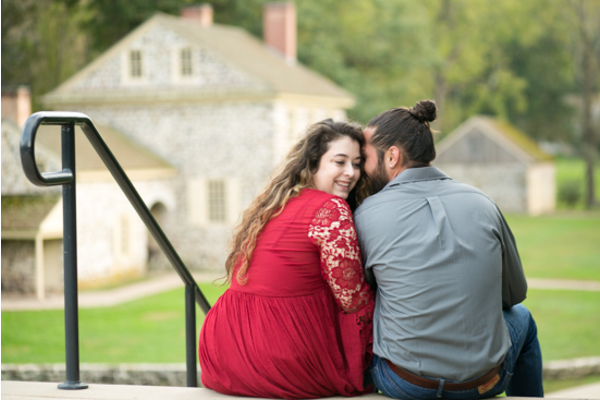 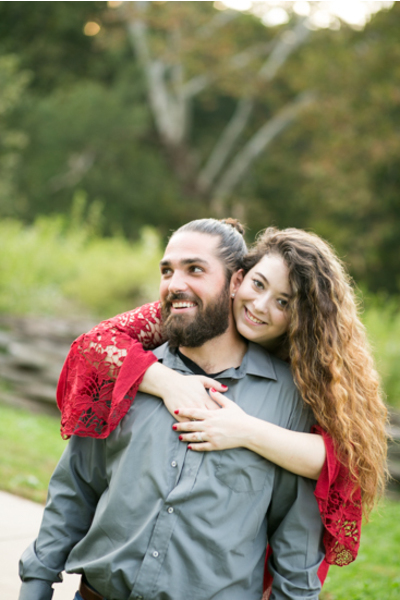 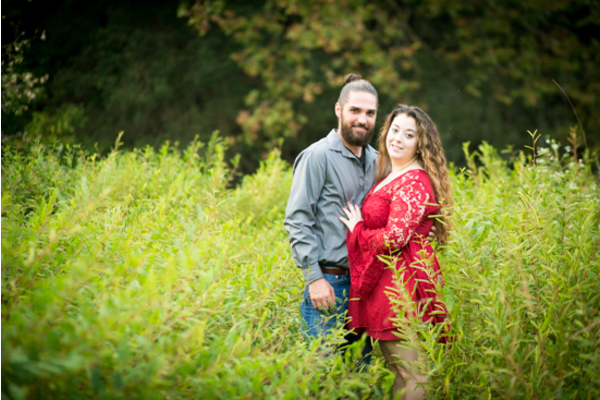 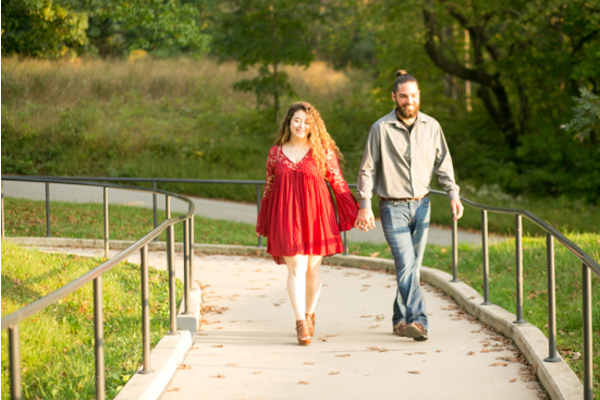 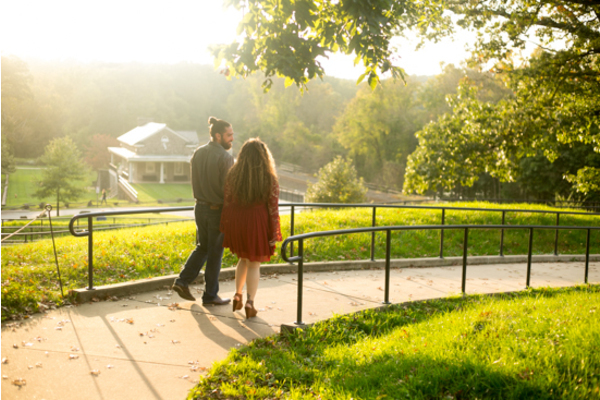 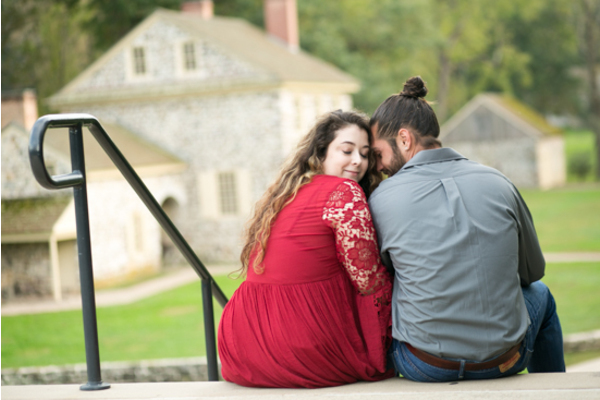 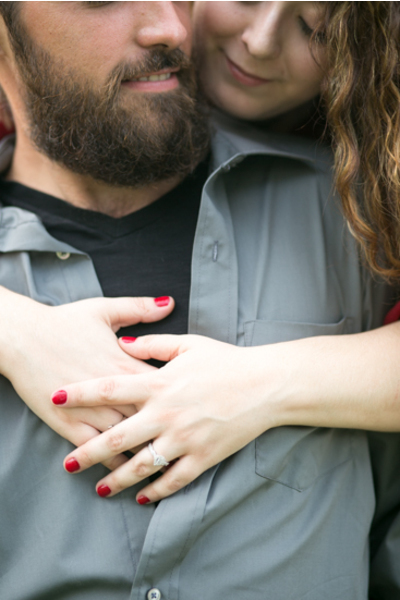 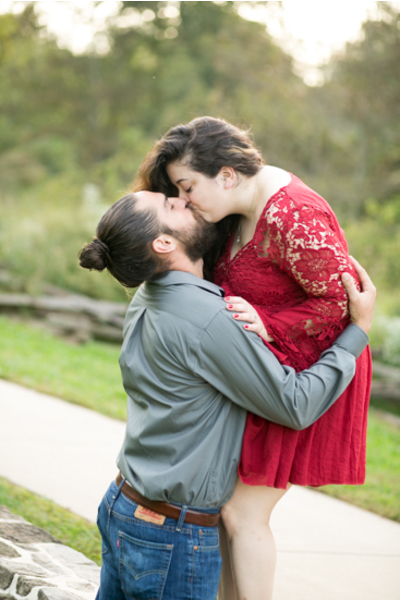 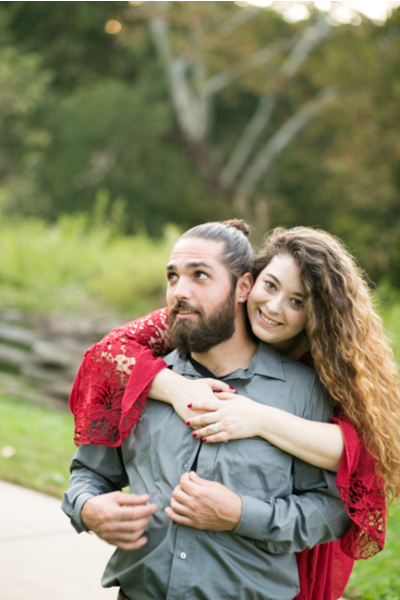 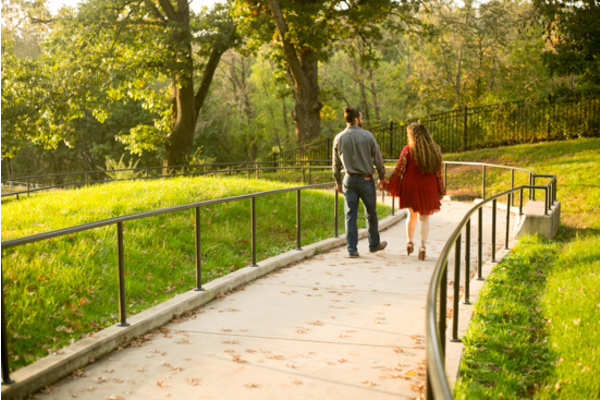 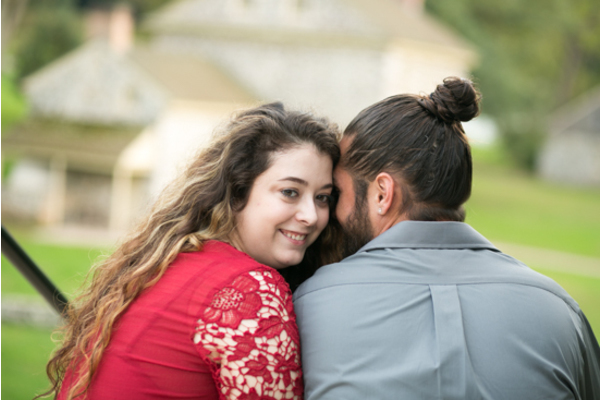 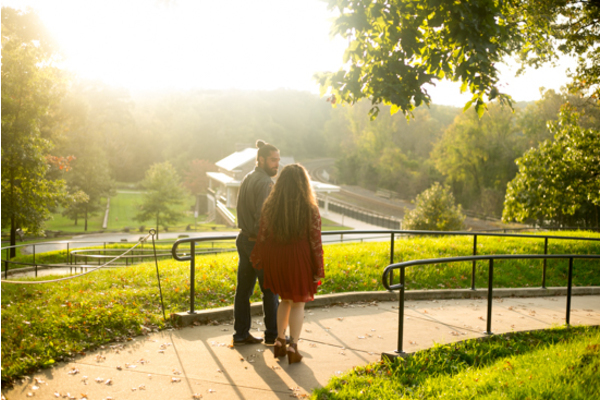 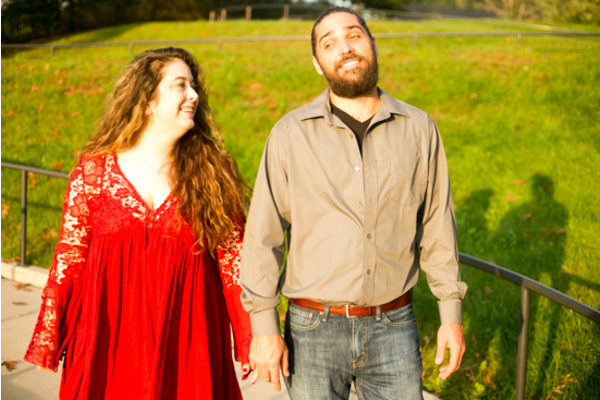 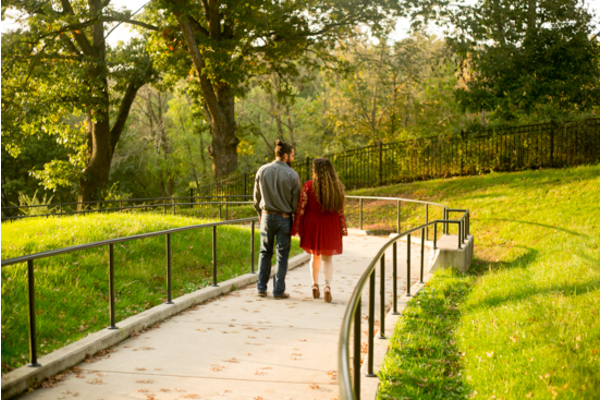 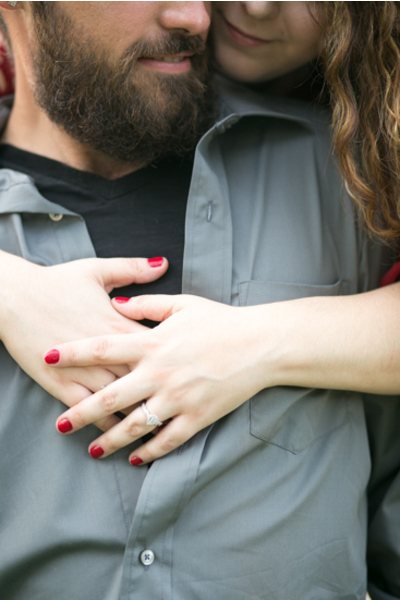 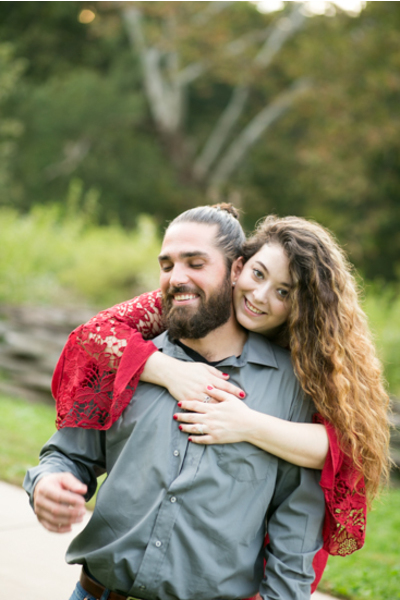 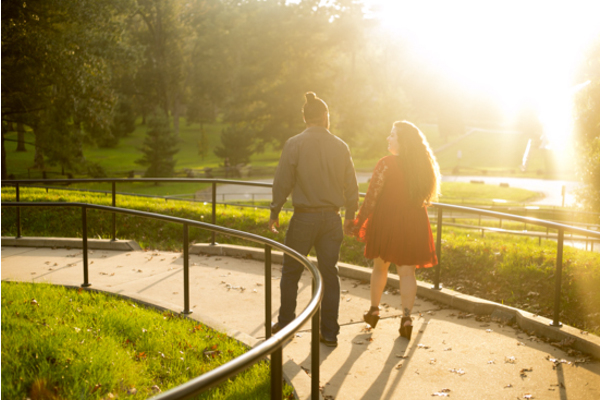 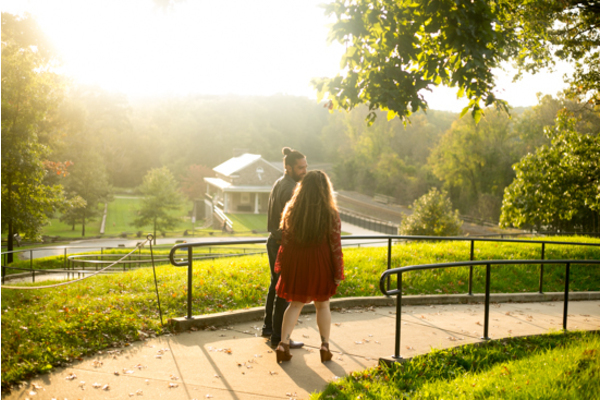 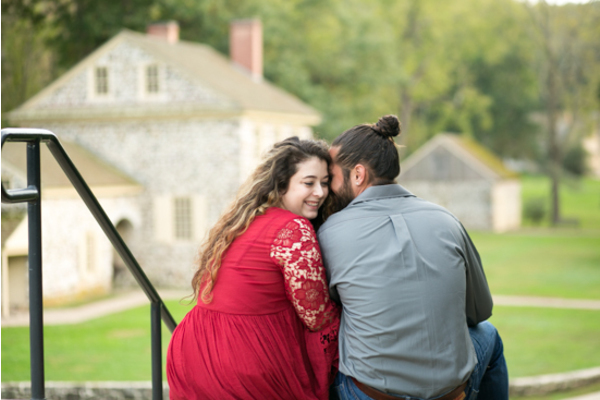 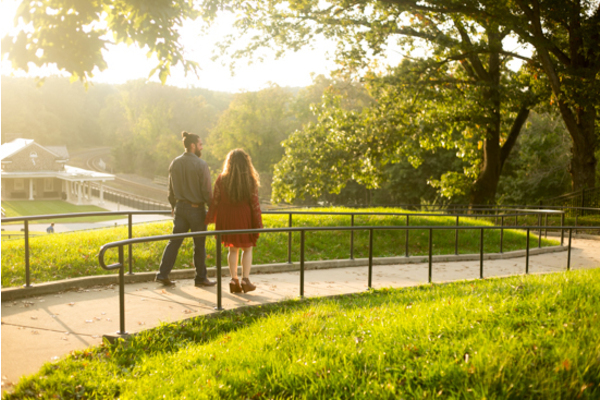 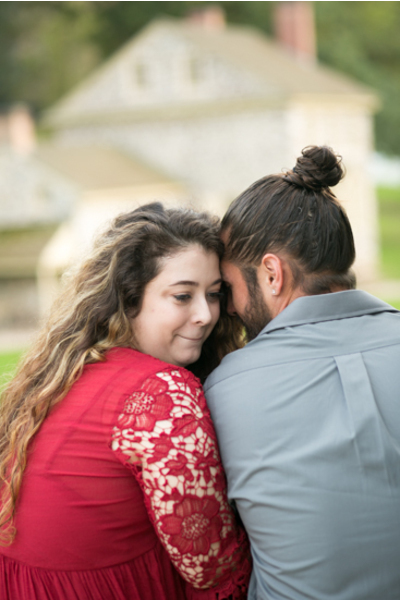 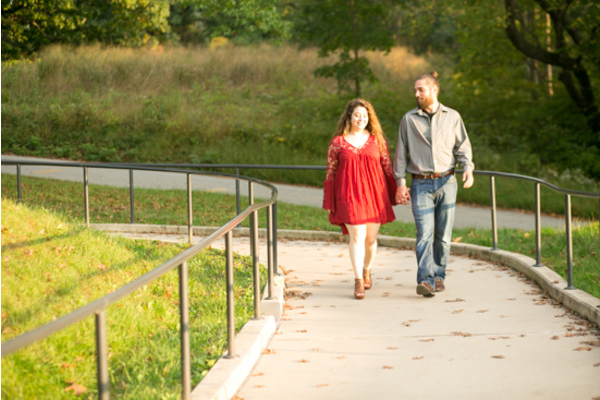 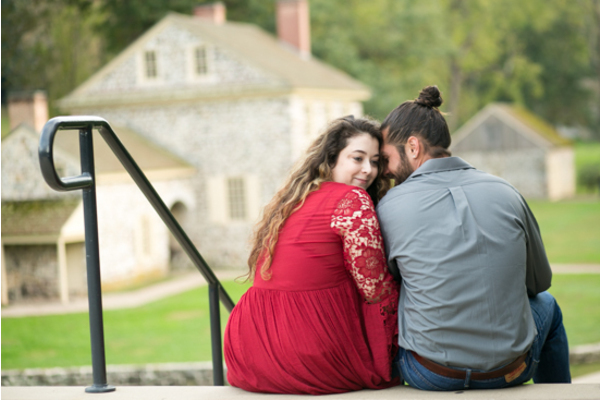 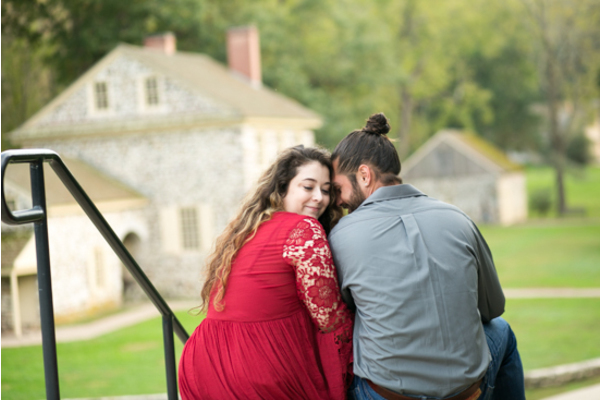 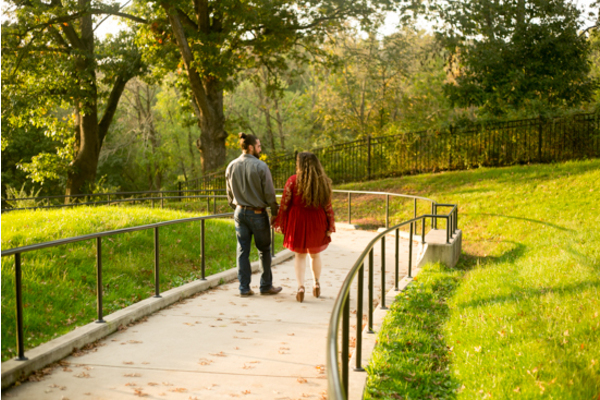 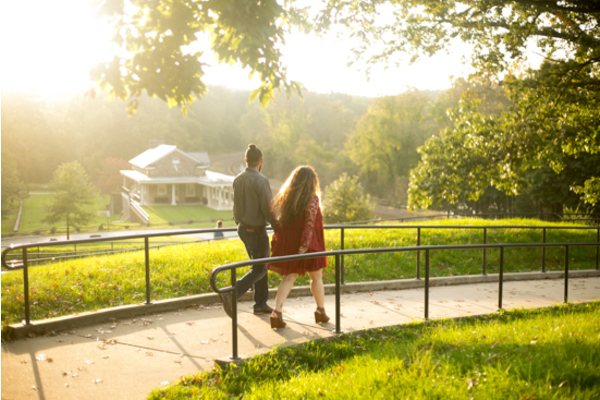 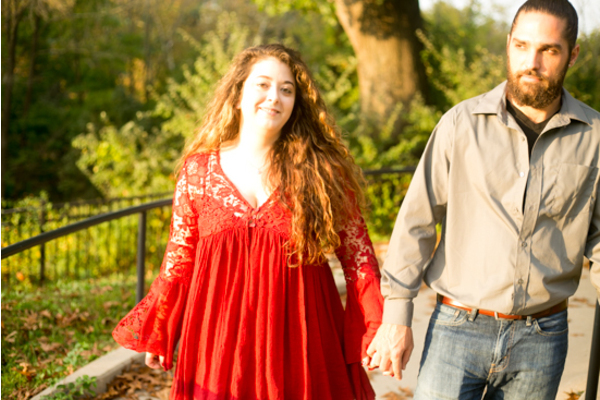 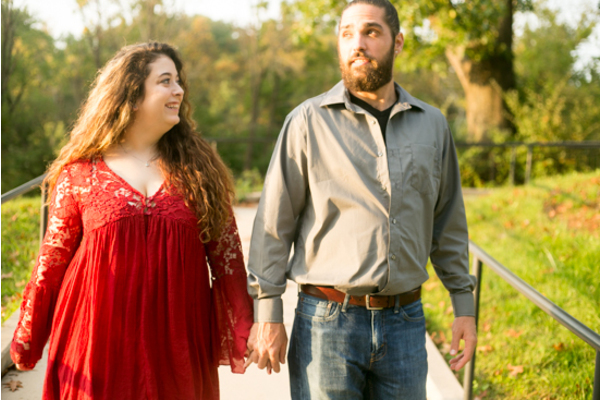 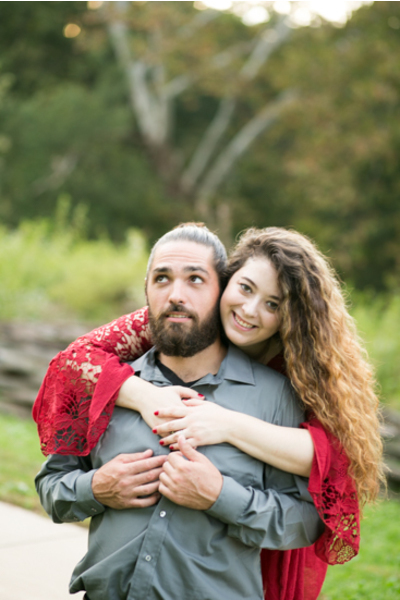 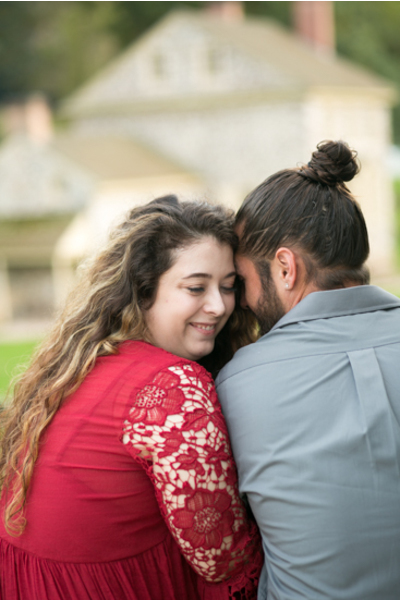 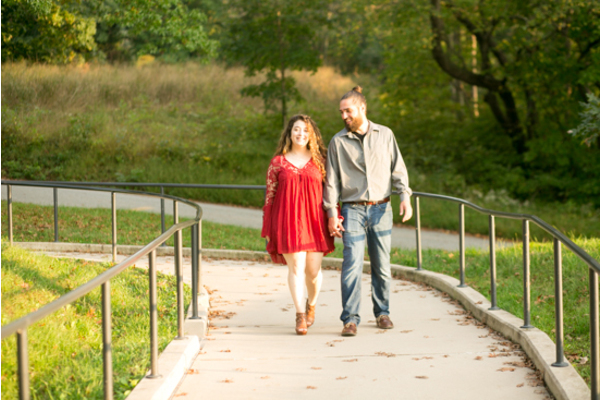 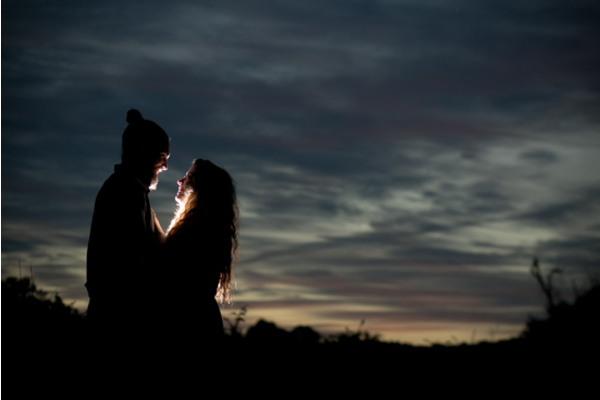 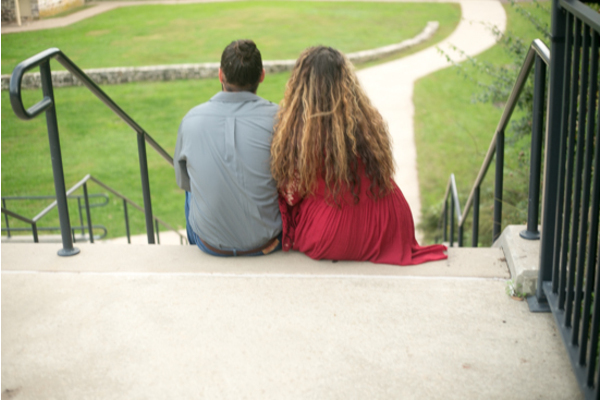 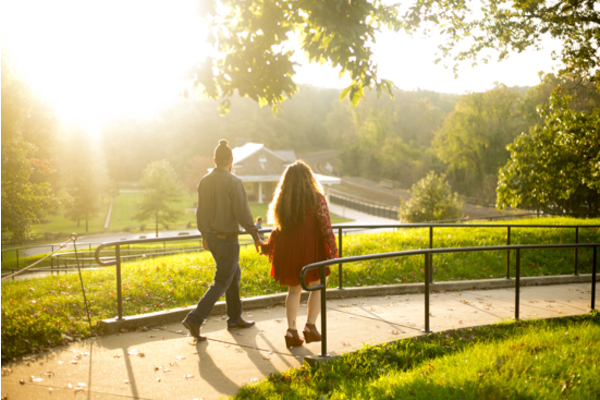 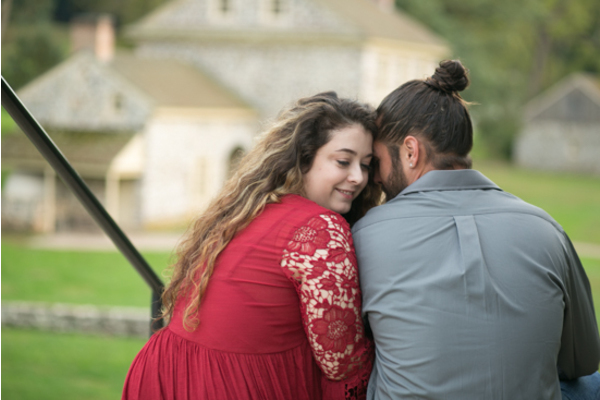 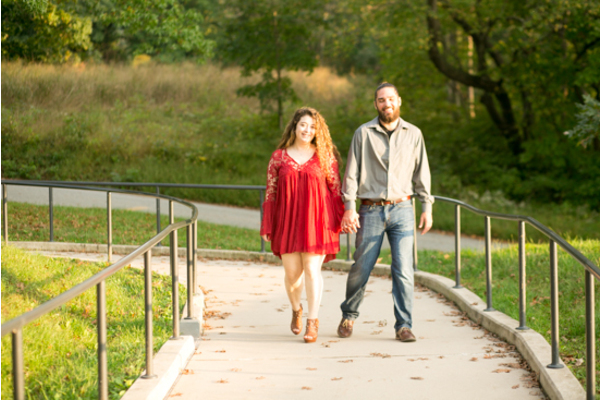 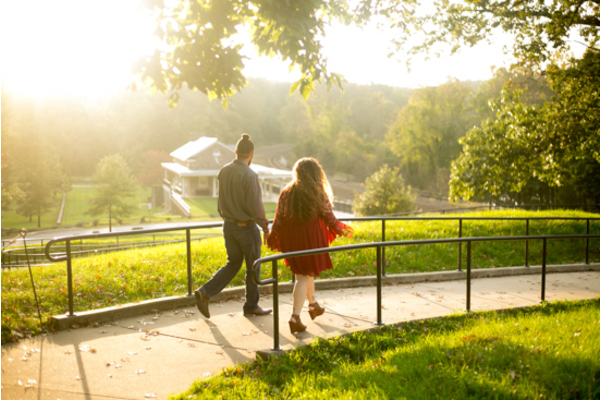 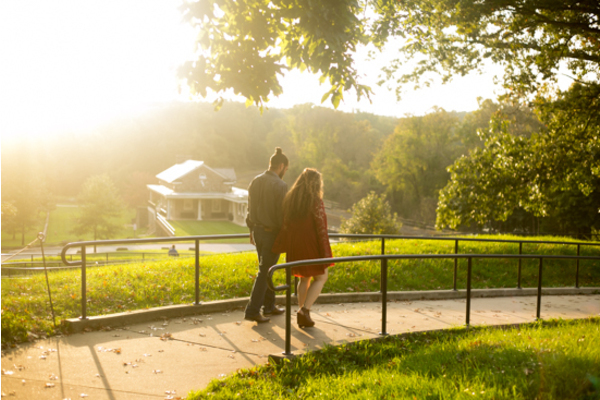 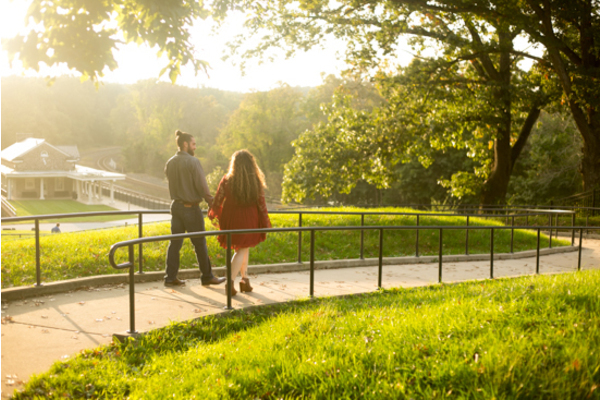 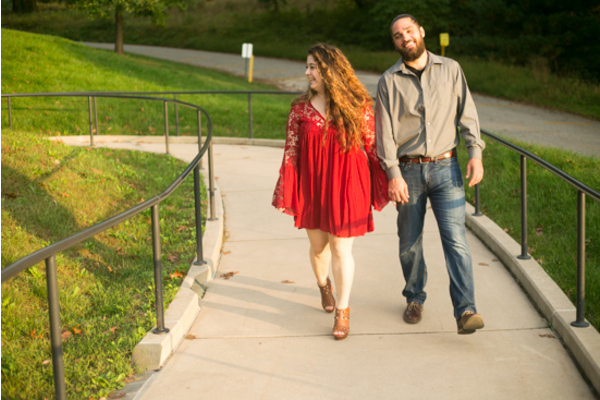 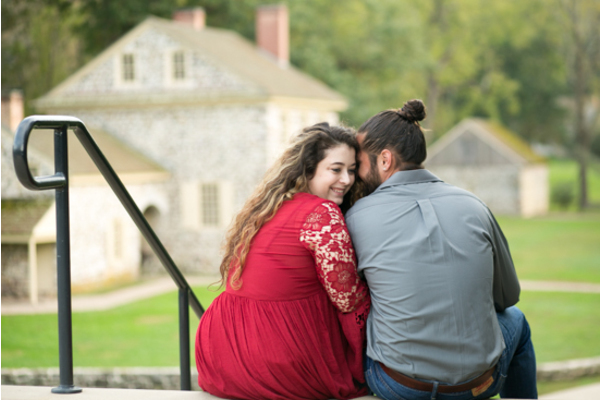 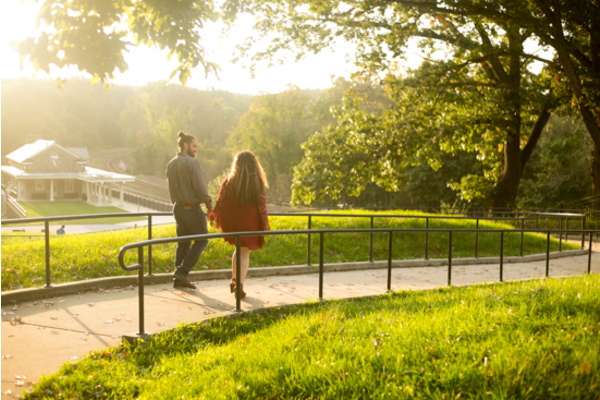 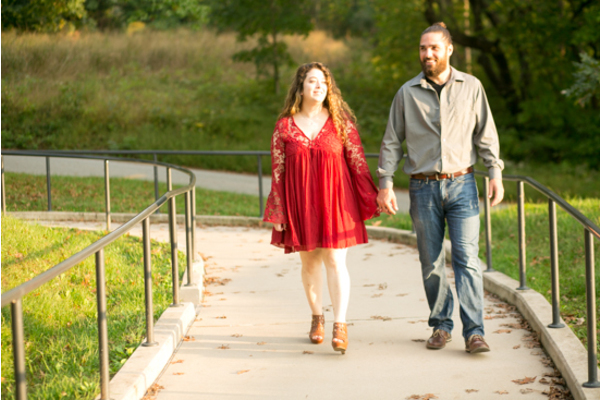 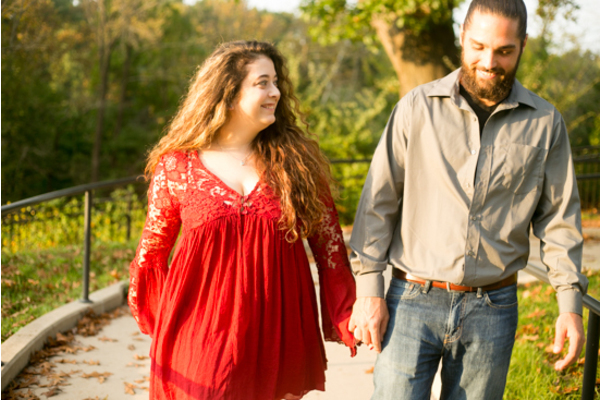 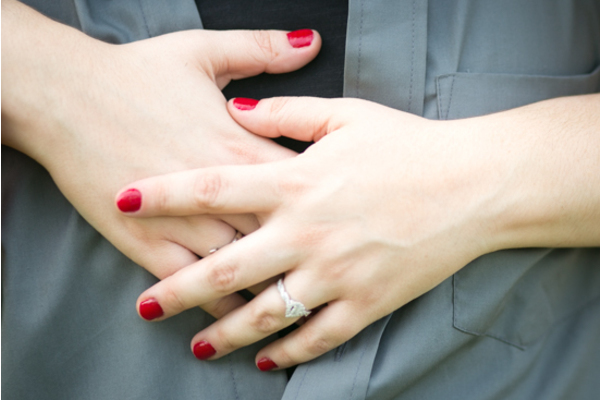 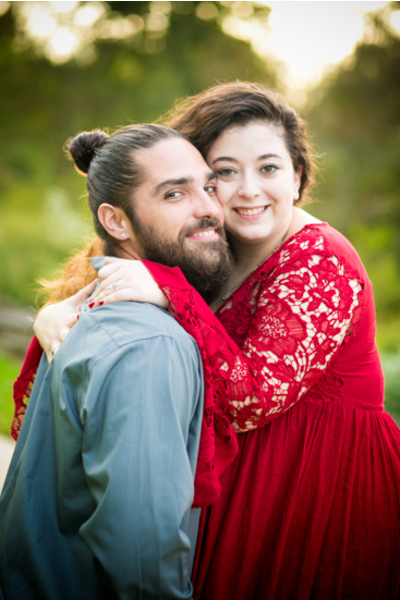 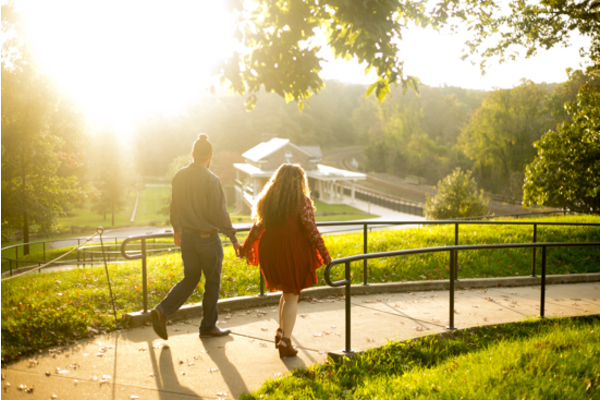 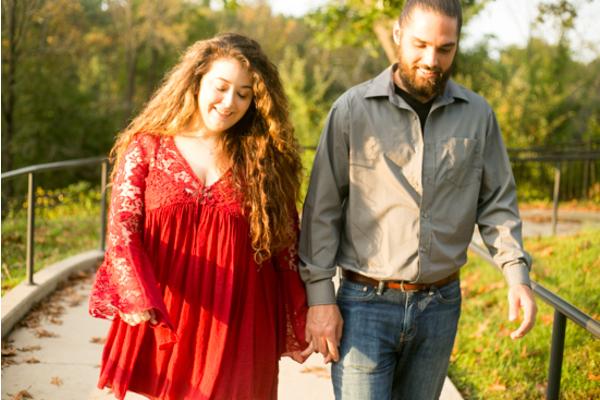 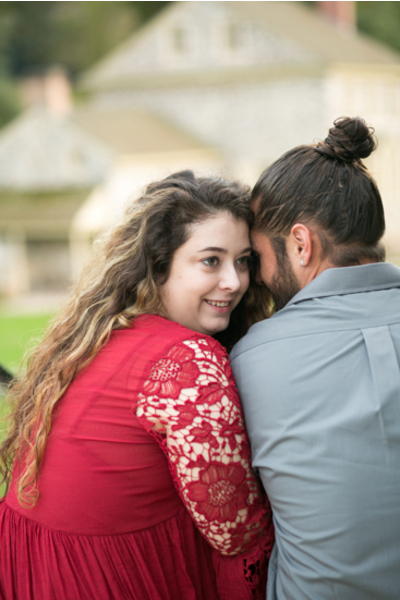 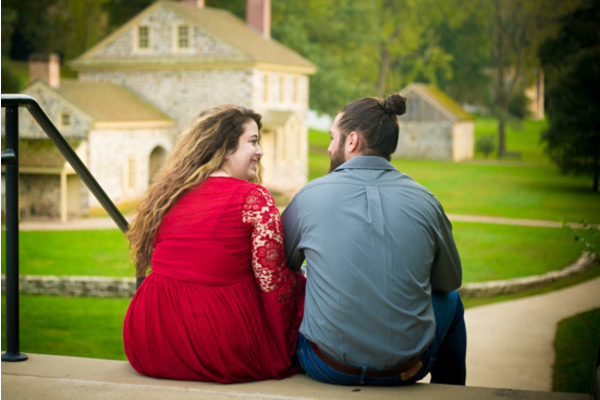 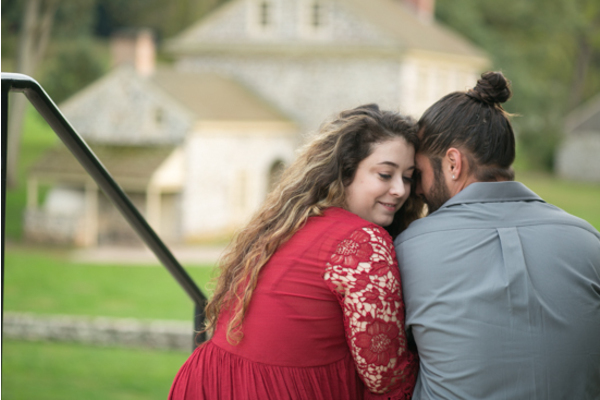 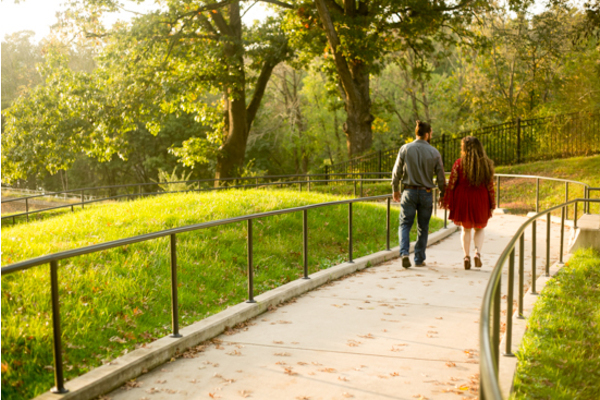 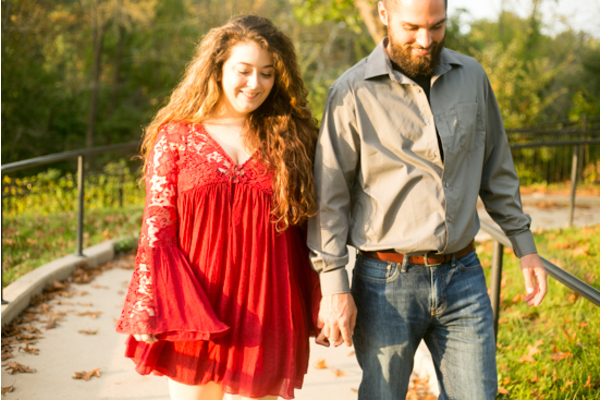 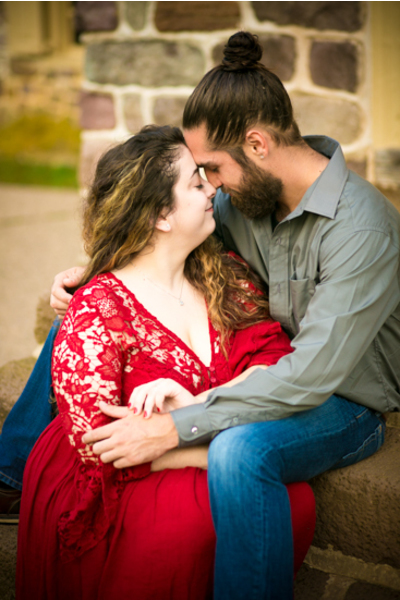 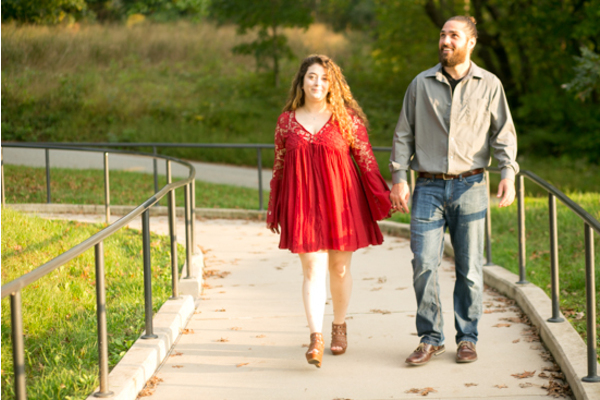 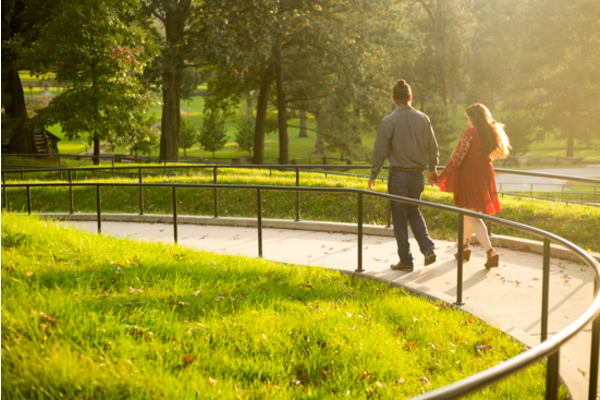 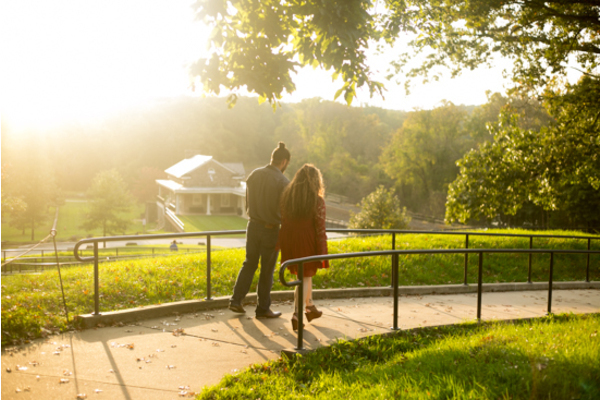 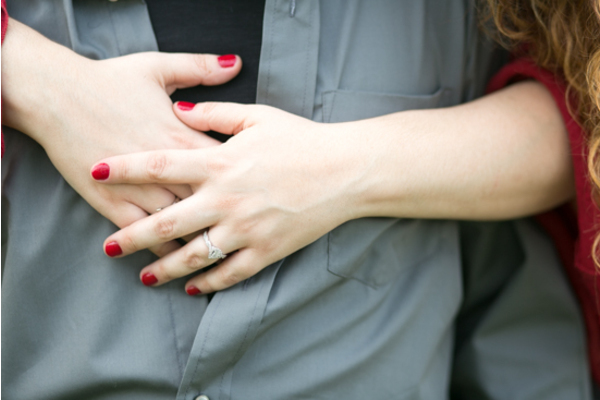 Congratulations, again, to Dana and Christian on their beautiful engagement session!